How can a gun safe protect people that are dear to you? First of all, if you have children, siblings, family members or roommates you probably don’t want them to touch your firearm and get hurt or accidentally hurt someone else. Also, if someone steals your gun, they can sell it on the black market, and it can be used in different kinds of criminal activity, which is another scenario you’d probably like to avoid. So, I believe anyone who owns a gun, should have a gun safe as well. It is simply the proper way to store your firearm. As you know, I favor biometric safes above all of the others a little bit. Or a lot. 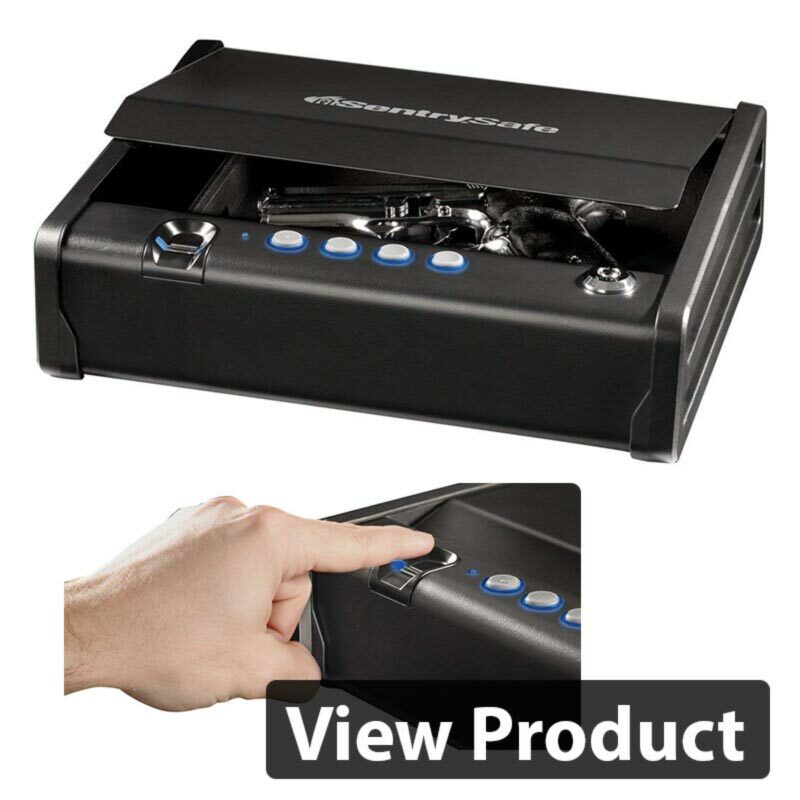 Anyhow, today, I will present you the best biometric gun safes on the market and tell you how to choose one for yourself. 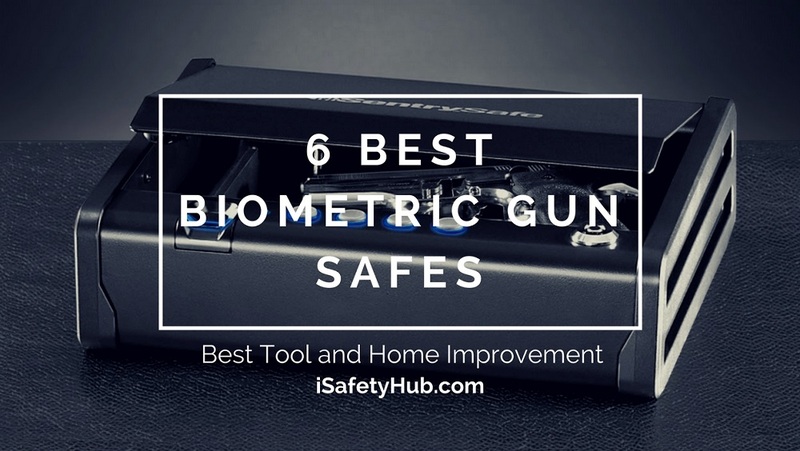 How to Pick the Best Biometric Gun Safe? Choosing a biometric gun safe is not just difficult because there are many different models out there. It is a task that comes with a huge responsibility. 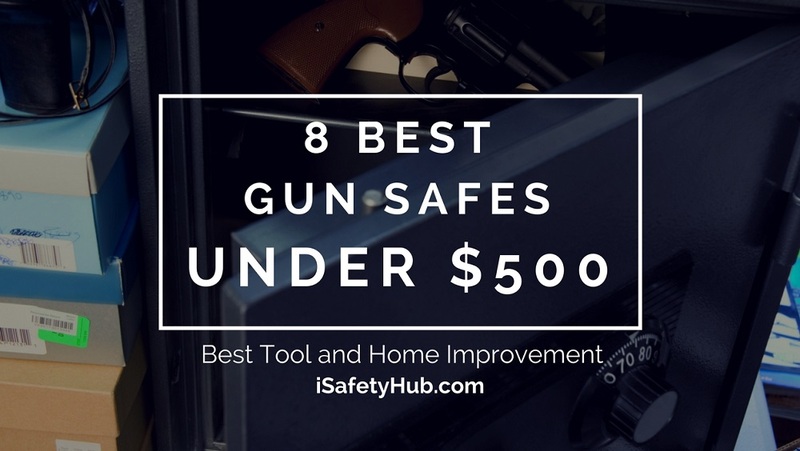 If you choose a flimsy gun safe, it can have catastrophic consequences. It might lock you out in a critical moment, when the intruder is already in your house, or it might fail to keep others out. As you know, firearm comes in different shapes and sizes. There is no point in purchasing a biometric gun safe if you are going to pick one that is too small or too big. If you own a small handgun, it will fit most models out there. Just make sure that it offers enough space for your magazines as well. Remember, always check the interior dimensions to know the safe’s true storage capacity! Just like any other safe, your biometric gun safe should be made of thick solid steel. The heavier unit is more difficult to pick up and be carried out from your home. A stronger, more secure safe is always more preferable. If you are interested in a certain model of biometric gun safe you should know how many different fingerprints it can recognize. Just a few or many? Do you plan to use it on your own, or do you want to give other people access as well? Always look for biometric gun safes that can store many fingerprints. This feature is useful for two reasons. 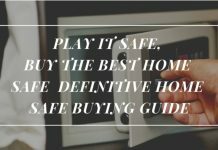 First, if you want it to, it will allow your family members to use the safe too. Second, if you are the only person using it, you can record your fingerprints from different angles, therefore increasing the scanner’s accuracy. 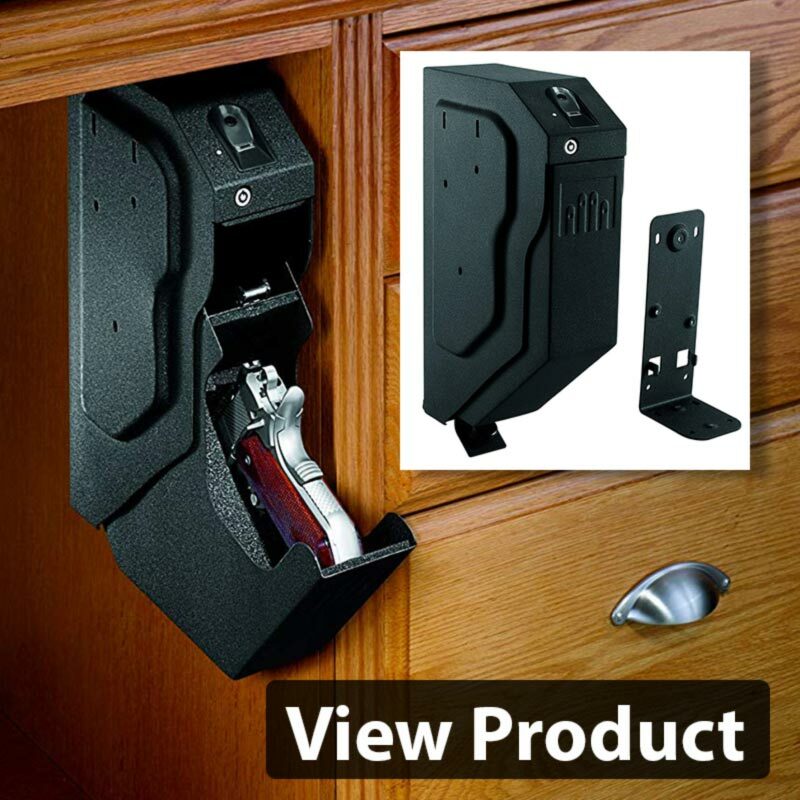 Look for a biometric gun safe that has a low false acceptance and false rejection rates. Usually, expensive, high-quality vaults feature better biometric technology. Do a research and read the reviews. 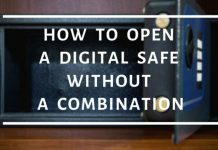 If you go for a cheaper version, which works only half of the times or less it may allow unauthorized access by error or prevent you from opening the safe in the critical moment. This aspect depends on your personal preference. 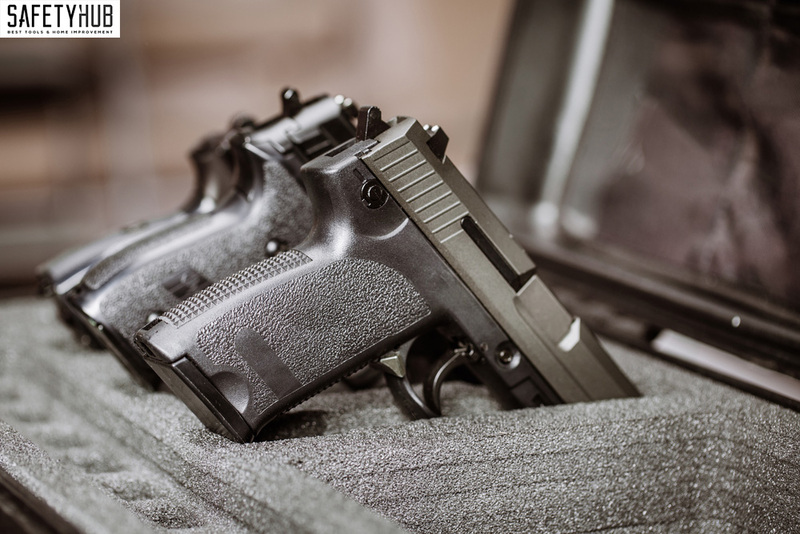 You can go with biometric safes that are not specifically designed for storing guns, and they will provide you with more space, to store your other valuables as well. 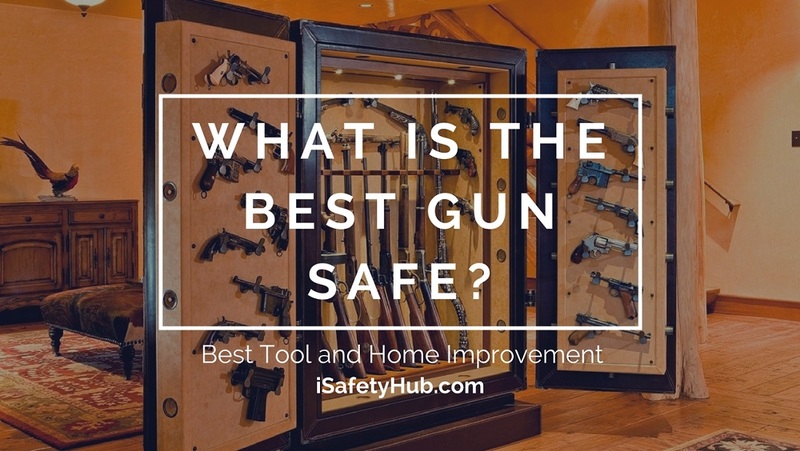 On the other hand, if you go for a safe that is designed to be a gun vault, it will store only your gun and possibly some ammunition. 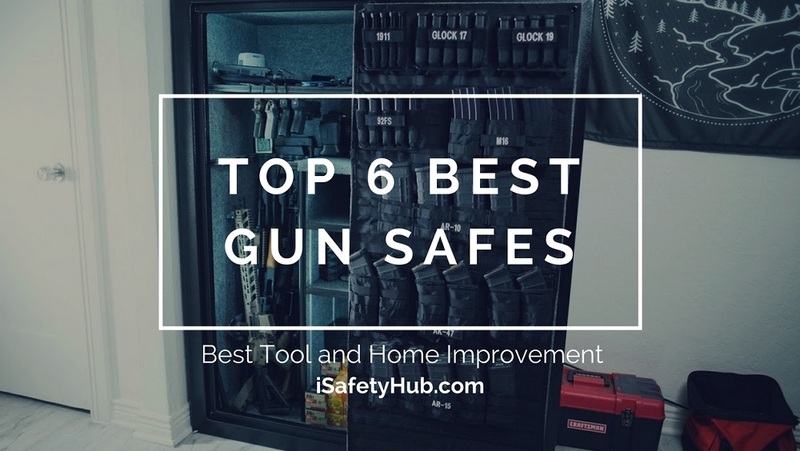 No matter how advanced and accurate the biometric technology on your gun safe may be, different situations, such as a dead battery, might cause it to fail. If you have a chance, purchase a gun vault that combines emergency keys or keypad with the biometric lock. 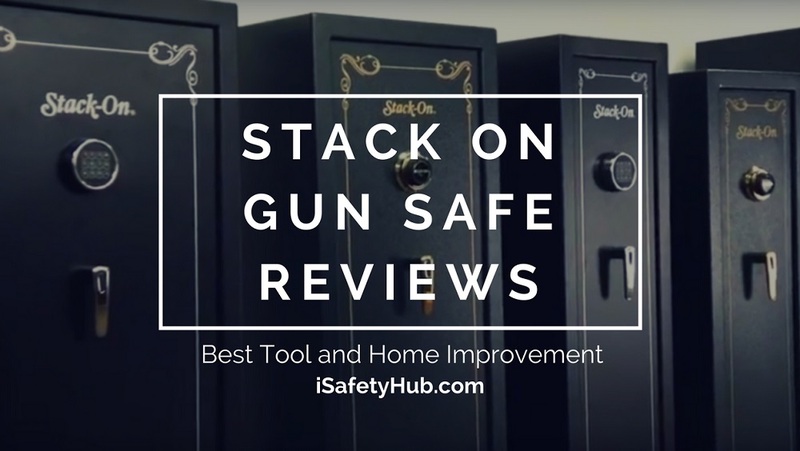 This will give you an alternative method of opening your gun safe in case something goes wrong. First of all, your new biometric gun safe should be easy to program. You shouldn’t spend hours trying to figure out how to set up the scanner or where to look for log history. 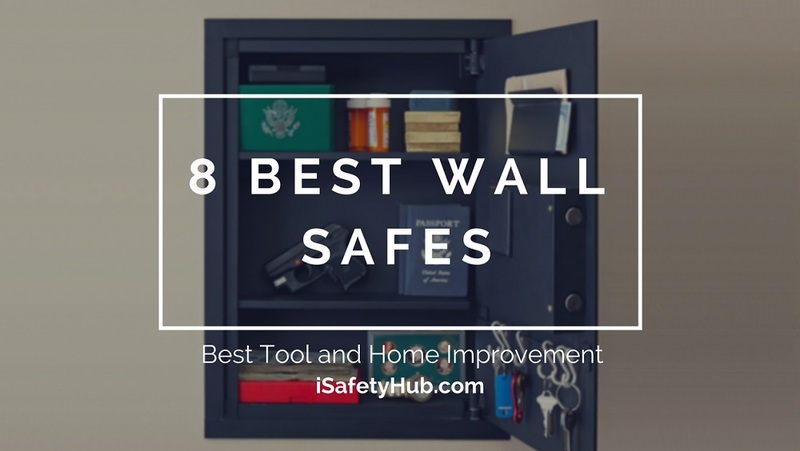 At the same time, you are well-aware that safes are much more secure once you mount them. So, choose a biometric gun safe that allows you to install it wherever you imagine. Biometric locks require batteries to operate. 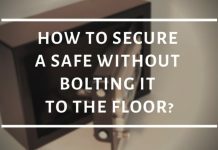 It is in your best interest to buy a safe with a longer battery life. 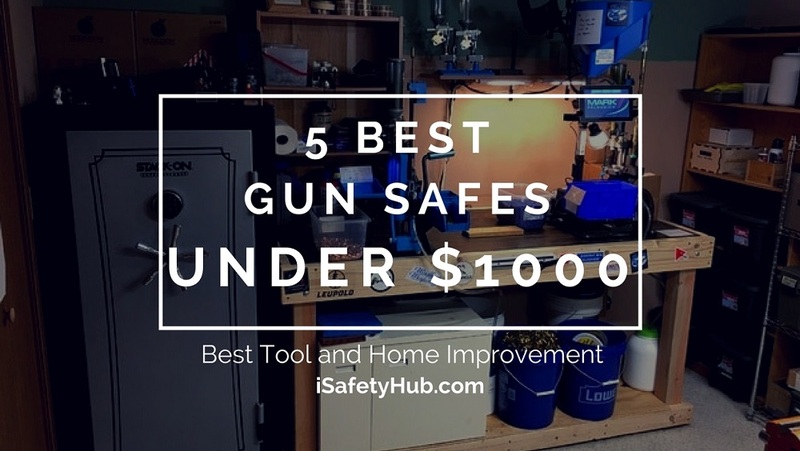 Changing the batteries frequently will increase your costs of using the safe. At the same time, batteries that drain too quickly are more likely to put you in a situation where you have to use your override keys. If you find a model that comes with rechargeable batteries, go for it. It might be a bit pricier, but it is worth it. Also, avoid the models that don’t come with a battery life indicator feature. You can turn-off the keypad’s beeping. 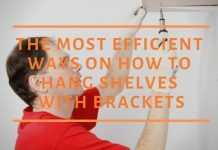 It offers flexibility in mounting options. It is fast, roomy and easy to program. It is made of heavy-duty gauge metal. The fingerprint reader works every time. A low battery warning will appear every ten seconds once a replacement is required. The interior LED light can be adjusted by using a phone app. It offers a complete history log and a battery life indicator. The biometric feature has a 3D-scanning option. The scanner works faster than the others. The backup key is crosscut. The interior is fully carpeted. It has four holes for bolting down on the bottom. 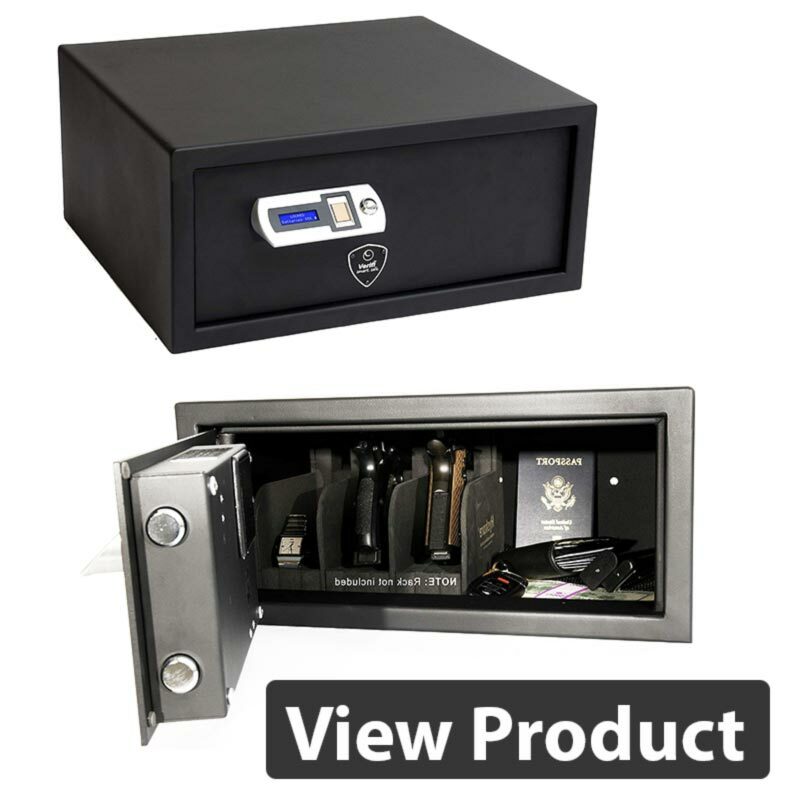 With Gunvault’s biometric gun safe, you will feel like an agent on a secret mission. 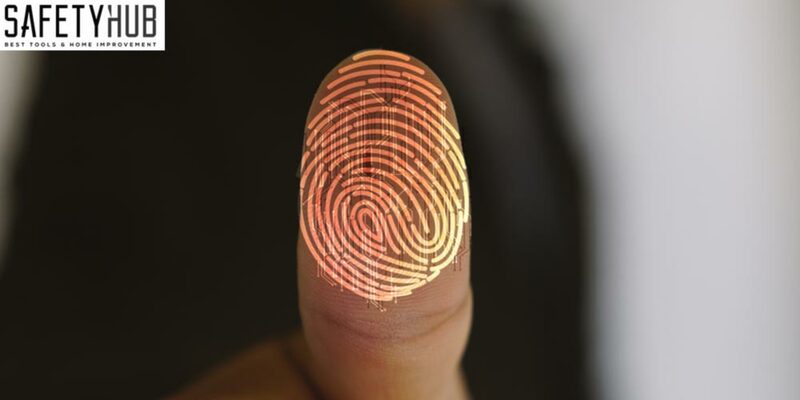 It features a biometric fingerprint scanner that can hold up to twenty different fingerprints. Its interior dimensions are 2.25″ x 5.75″ x 8.5,” and it is made of 18-gauge steel, with the foam-lined interior. You can mount it anywhere you like. 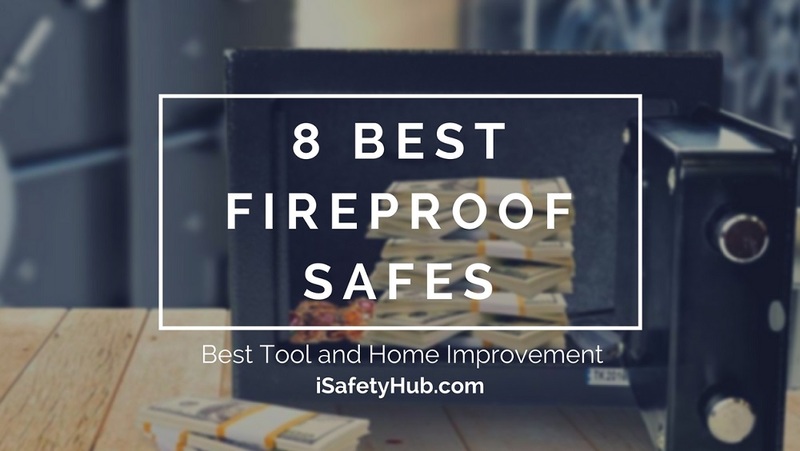 In comparison to other safes, which are not specifically designed to store guns, this vault allows you to turn off the keypad’s beeping, which is crucial once the burglar is in your home. The flexibility of mounting options is amazing, and the biometric lock works better than expected. I loved the internal floodlight, as it makes reaching for your gun in the dark much more convenient. On the other hand, the mechanism makes a lot of noise while it unlocks. Also, the low battery warning appears only when you touch the keypad, so you won’t know if the battery is dead unless you activate the safe. Also, if you enter the code too fast, the software will fail to register it. The biometric lock offers a consistent response to the properly-enrolled fingerprints. The white internal floodlight makes the gun handle visible in the dark. It makes a lot of noise as it unlocks. The low battery warning works only when you touch a keypad button. If you enter the code too fast, it doesn’t work. There is no room for an extra magazine. 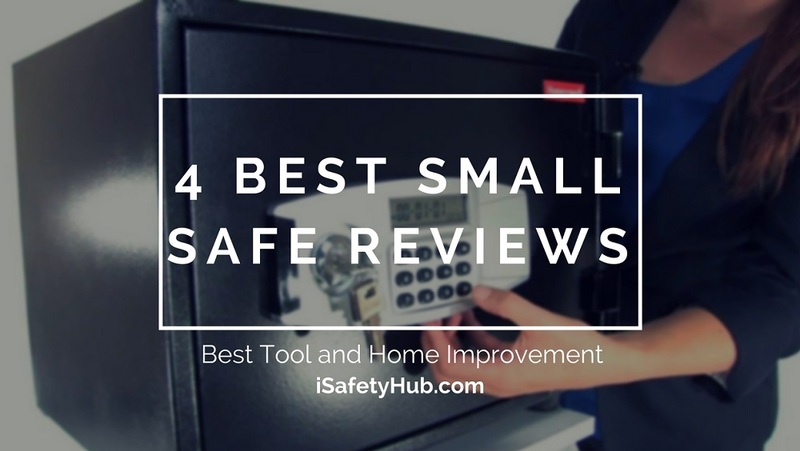 SentrySafe is a reliable brand, and I often present their models in my reviews. That’s why I decided to show you their biometric pistol safe. It has a capacity of 0.43 feet, which is enough to store one standard handgun. To be precise, its interior dimensions are 2.2”x 9.7”x 6.7”. Additionally, this gun safe is certified to California DOJ Requirements. It features compression gas strut for silent door opening. I love SentrySafe’s biometric technology and overall safe design. 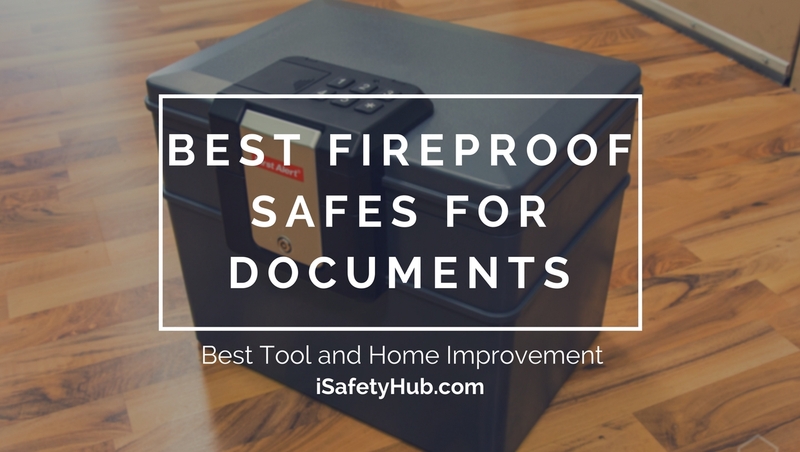 The fingerprint scanner is excellent, and the safe is made of heavy-duty gauge metal. With this model, you won’t forget to replace the battery, because once it is low, the warning will appear on the screen every ten seconds. Unfortunately, this bad boy drains batteries like crazy. You will have to change them quite often, which will only increase its already high price. You have to activate the keypad before the reader can scan your fingerprint, which slows down the whole process for a few seconds. It offers enough space for a full-sized gun and some magazines. You’ll have to change batteries often. You have to activate the keypad before it reads your finger. If you want to be sure no one is going to touch your gun, Vaultek’s gun safe is the one to consider. It features two-point anti-impact latches, anti-pry bars, interior mounted hinges, and interior security brackets. 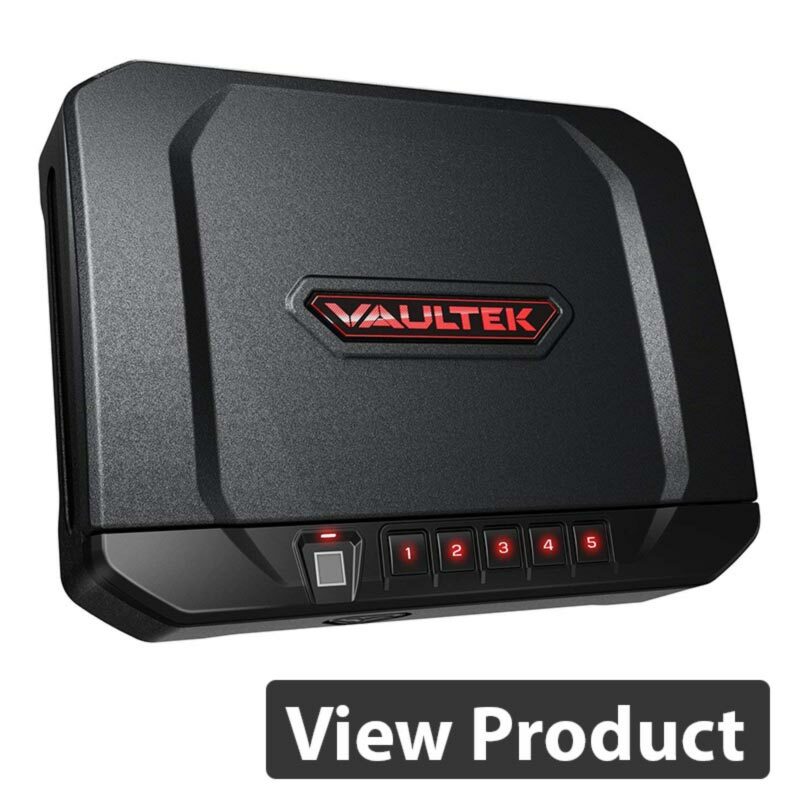 This gun safe is made of heavy-duty 16-gauge carbon steel, and you can connect it to Vaultek’s phone app and recharge its lithium-ion battery using their micro-USB charging kit. I am surprised with how silent this gun safe is! I have to point out, in comparison to the previous two models, this one is technologically more advanced. If you are a tech geek, you are bound to fall in love with it. It connects with your phone via Bluetooth, offering you tons of information. The biometric reader works flawlessly every time. However, the scanner can be a little slow, and the app has some bugs, but it’s improving with each update. Bluetooth fails to pair with your devices from time to time, which can be annoying. It comes with rechargeable lithium/ion battery. The biometric reader works flawlessly. The fingerprint reader is a bit slow. The battery percentage in the app is not always correct. Bluetooth pairing between the safe and the app takes a long time and often fails. The numbers on the keypad start to wear off. 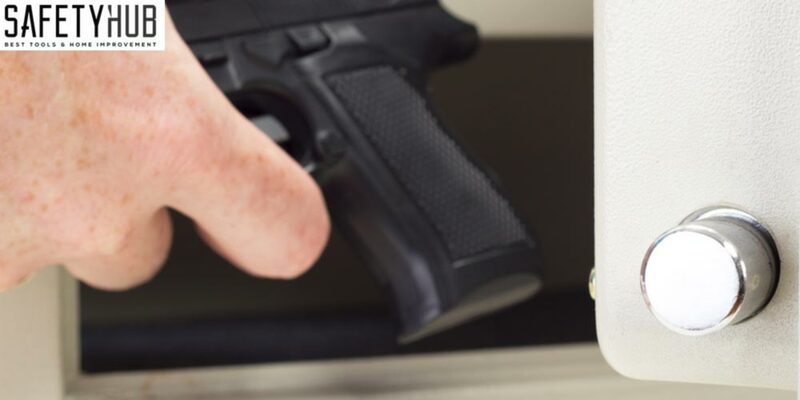 Verifi’s gun safe features FBI certified fingerprint sensor with 3D imaging. So, I think there is no gun safe out there that will make you feel more like a secret agent than this one. 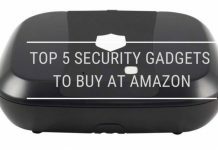 Its external dimensions are 17.4″ X 16.1″ X 7.9,” and it features tamper alerts, stealth mode, auto-lock, night-light, and LCD display. You can add up to forty different fingerprints and read the access and event log. If you are looking for a fast scanner that will be reliable in case of emergency, this is the one. Its biometric tech includes 3D imaging which makes it more accurate than the others. Also, the override key is cross-cut, which means the lock is hard to pick. At last, the notification system is amazing, and it offers a lot of useful info. In comparison to other models I’ve presented, this one is made of ridiculously thin metal. At the same time, the batteries that come with it are cheap, and they don’t last long, which shouldn’t be a case with such an expensive unit. Also, it can memorize only four different fingerprints. The door automatically locks once you close them. The notification system is fantastic and informative. It memorizes only four fingerprints. The metal is a little thin. If you’d like your new safe to store more than just your gun, Viking’s biometric safe is a good idea. Its dimensions are 8” x 17” x 14” and it features two motorized 20 mm solid steel locking bars. It has a modern 500 DPI optical sensor to ensure the best possible functioning of its biometric technology. This gun safe also comes with four prong backup cross key. First things first, I loved the interior of this gun safe. It is fully carpeted and has an inbuilt LED light to help you see your gun and other valuables. The mechanism works fast, and the whole unit is well-constructed. Additionally, it has four holes for bolting down, instead of just one which is usually the case. Unfortunately, there is no backlight on the keypad, which makes it hard to see in the dark. Also, the biometric scanner tends to malfunction when it comes to reading small and thin fingerprints. Every time you decide to open the safe, you will have to place your finger on the scanner precisely as you registered it, or it won’t work. It is heavy, with seamless weld all around. There is no backlight for the screen or keypad. The fingerprint reader has a problem scanning small and thin fingers. You have to place your finger exactly as you registered it. The button needed to activate the fingerprint reader isn’t easy to find. 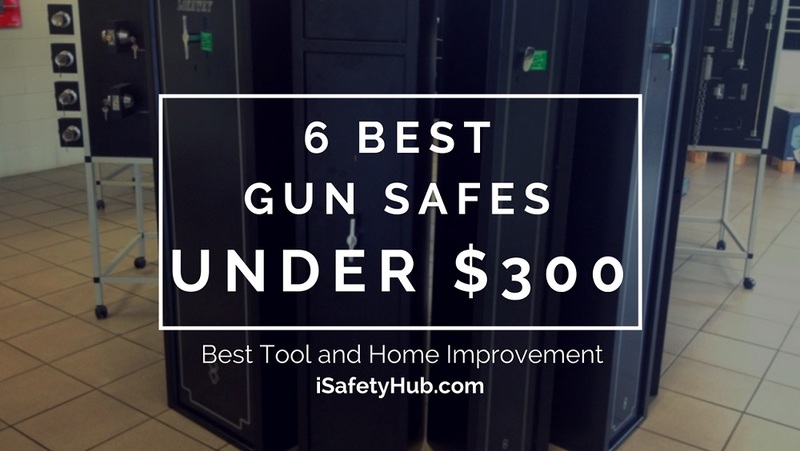 If you own a gun, buying a gun safe is an absolute necessity. Also, once you already decide to buy a gun vault, why wouldn’t you invest a few more bucks and get the one with a biometric lock? My personal favorite from this group is Gunvault SVB500 Speedvault Biometric. It is fast, roomy, quiet and easy to install. I love how sleek it is too! Do you agree with my choice? 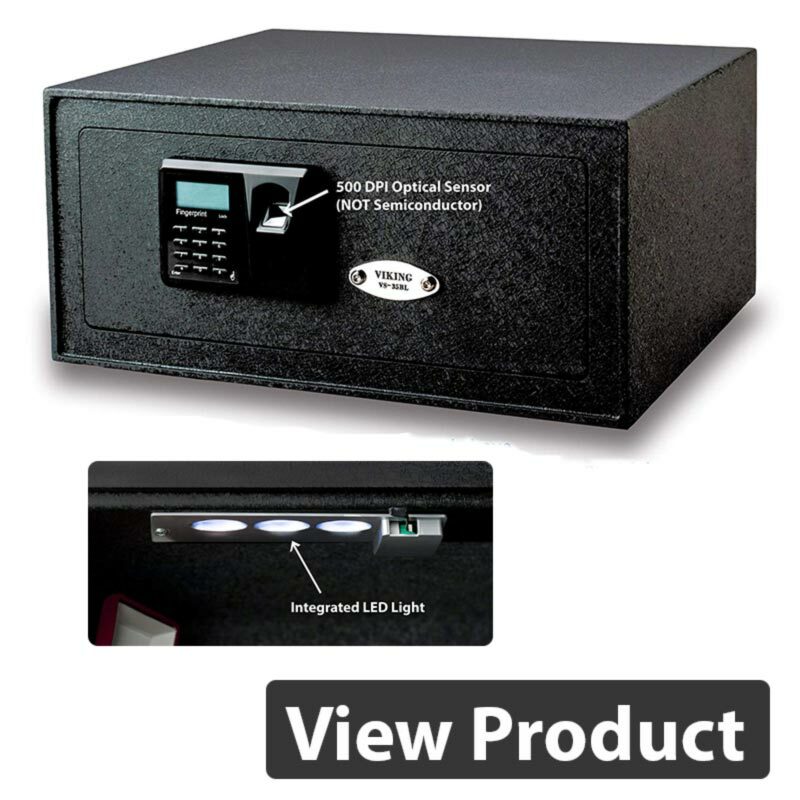 Do you have any other questions about biometric gun safes? Don’t hesitate and ask whatever you want to know. This is an important topic, and I wouldn’t want to leave you uninformed! Go ahead and write me a comment. I’m here for you.